On my day off there was a Scooby-Doo marathon! Best day off. Ever. 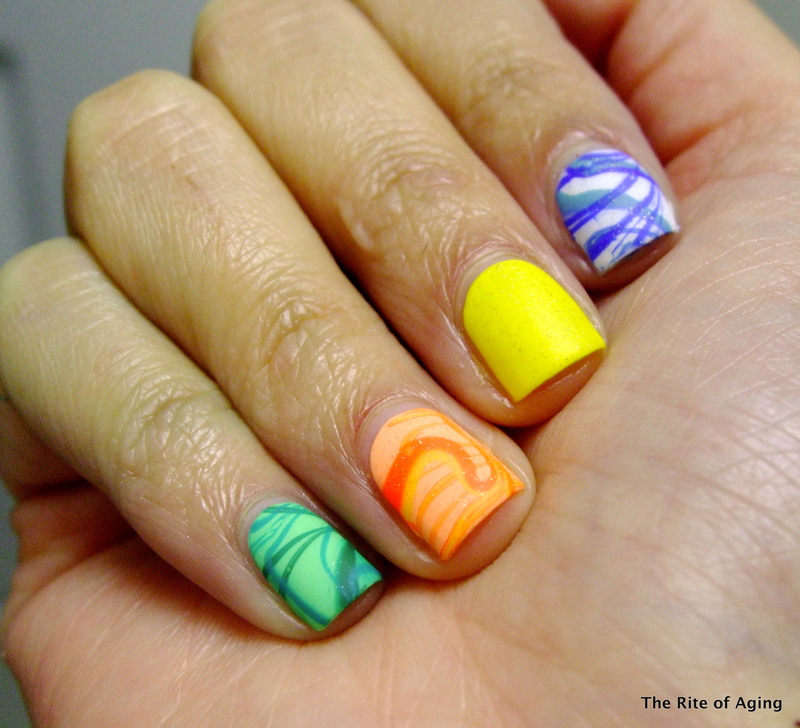 During the 31-Day Challenge back in September I did a Scooby-inspired manicure, seen here. I really liked how it came out so I decided to revisit it. I did not want to copy it exactly but it is very similar! Color Club Almost Famous, Wham! Pow! I initially only added the matte coat to the pinky and I loved loved loved how it looked so I decided to go with all of them. I only really like how the pinky came out. I should have kept the rest glittery. Ah well. Teehee, that sounds spectacular. I want one!